The deets: J.Crew pencil; J.Crew Factory top; necklace c/o Lisa Leonard; Kelsi Dagger pumps; Michael Kors watch and wallet; Nordstrom star ring; Essie "In the Cabana" nails. Oh it's going to be 90 and gorgeous this week? One week AFTER I'm at the shore when it's 55 and freezing? Cool. I'll just start bringing out all my neon clothes again (psh..like I ever put them away..) and celebrate during my lunch hour instead of the beach like I originally planned. Bring it on! 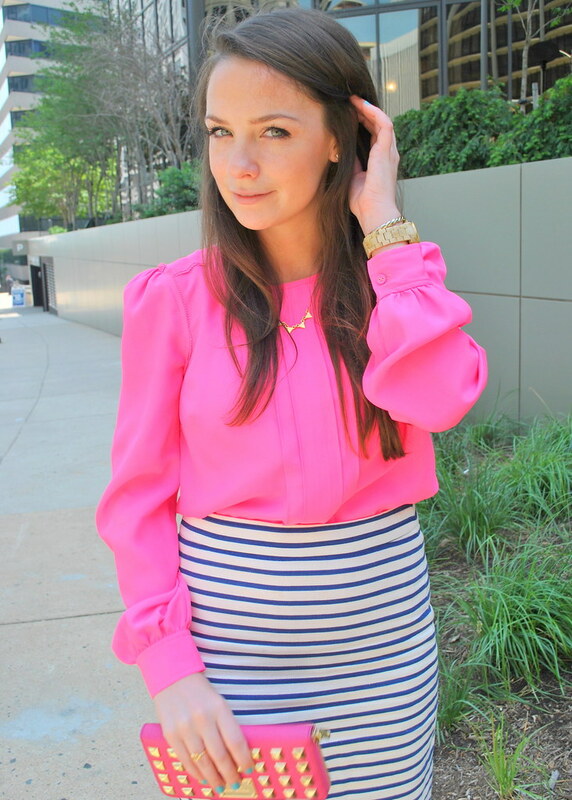 Loving that bright top -- I always find such great steals at J.Crew factory! 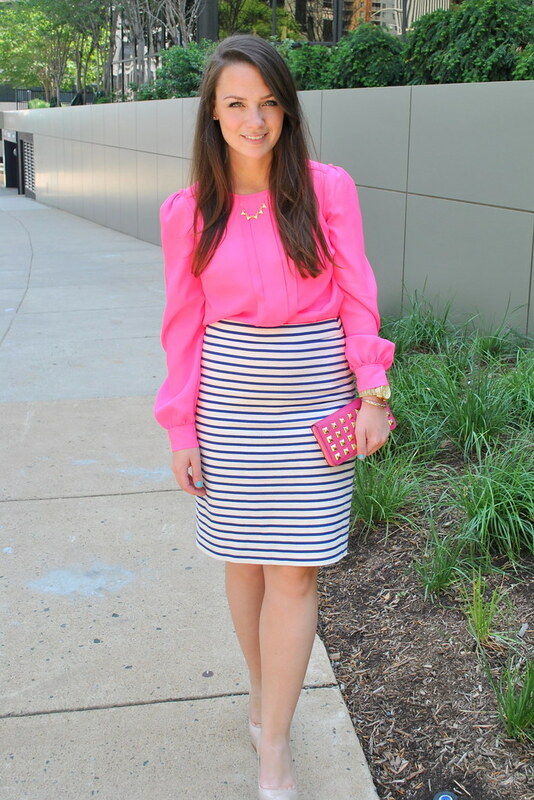 Love J.Crew Factory and that is such a necklace to add a little detail to the look! I love your top! So pretty. 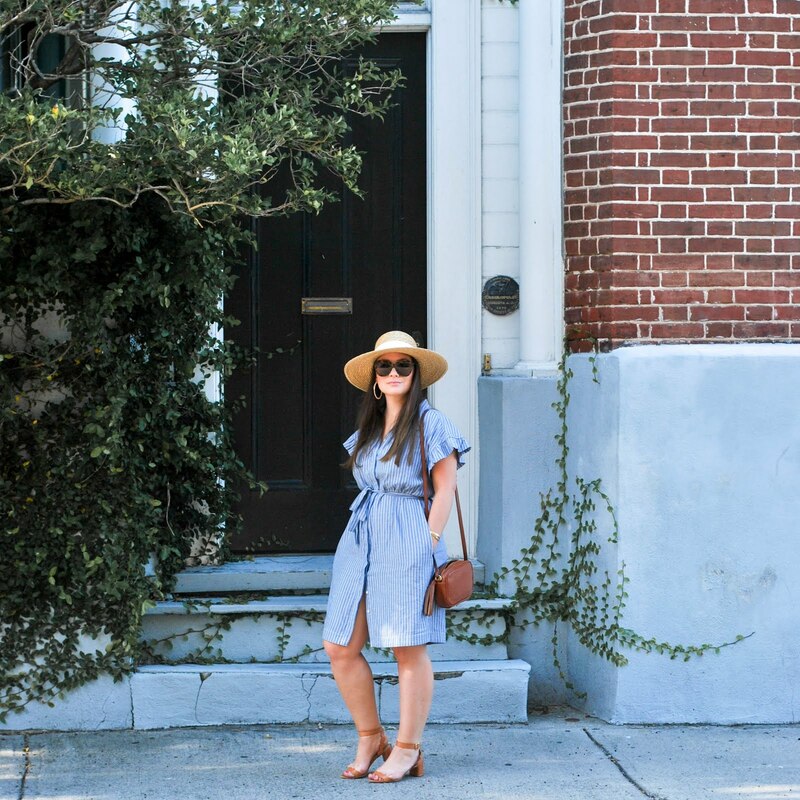 I love everything about this outfit! EVERYTHING! Seriously obsessed with this outfit!! Love everything about it! Hot pink is such a wonderful color on you lady. The pink and stripe combo is so pretty. You look gorgeous! you are so bringing it on in hot pink lady! super gorgeous! Sorry to hear about the beach being less than cooperative though! boo! 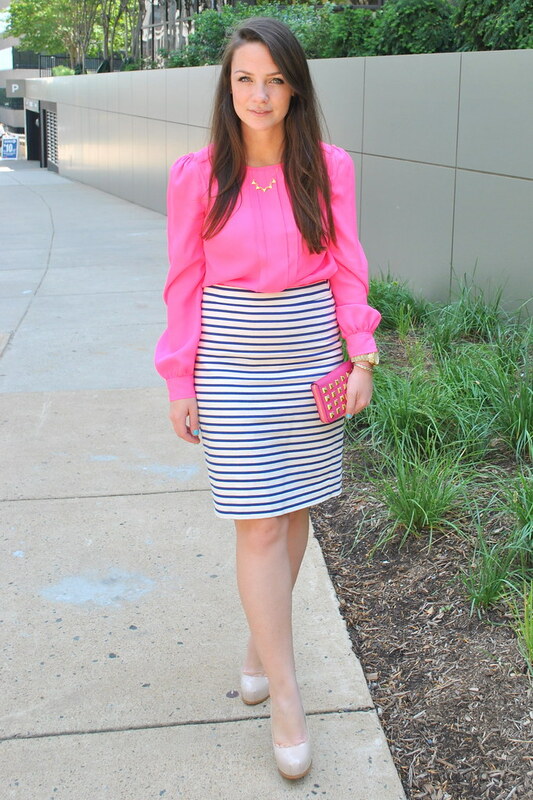 That pink top is perfect with that skirt...you look so pretty Erin!